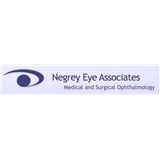 Negrey Eye Associates (Havertown) - Book Appointment Online! I have been seeing Doctor Mike for a few years after seeing his Dad, Doctor John , for about 30 years. Doctor Mike has a gentle and friendly manner about him. He is very thorough and explains things in plain language and he will answer all your questions.